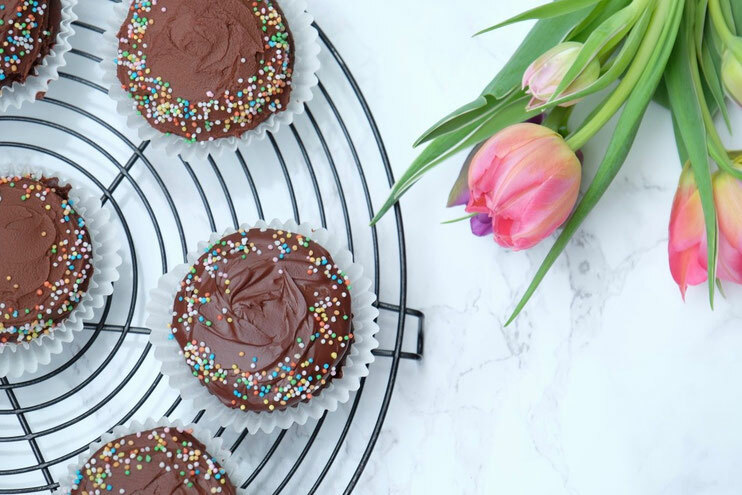 To make the cupcakes, melt the butter with the chocolate on the stovetop over low heat, while stirring occasionally to make sure nothing burns. In a bowl, beat the eggs with the sugar until creamy, using an electric hand-held mixer. This takes about 2 minutes. Add the chocolate to the egg mixture and whisk it all together. Then add the espresso and the sour cream and whisk together until everything is combined. Sift the flour, the baking powder, the cocoa powder and the salt together and add it to the batter. Fold it in carefully. The batter will be quite stiff, that's fine. Fill up the cupcake liners about 2/3 of the way and bake the cupcakes for 20 minutes. After 20 minutes, insert a skewer to see whether they need more time in the oven. 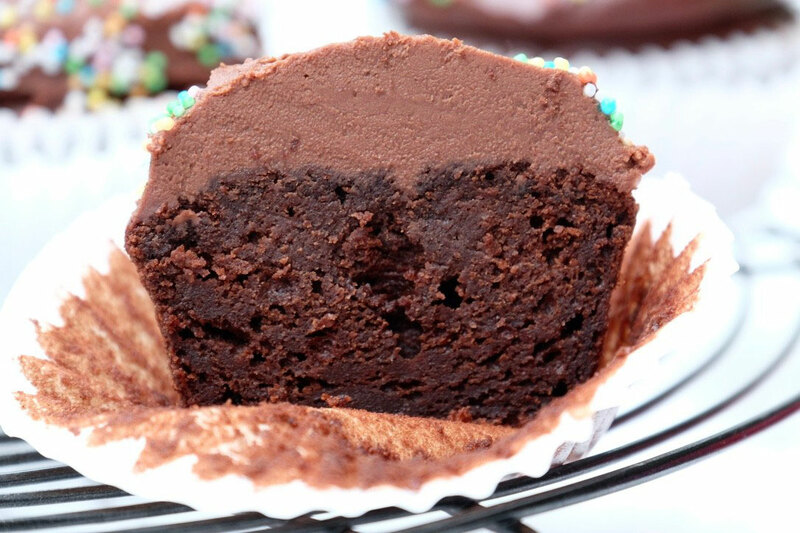 For the frosting, break up the chocolate into pieces and add them to a bowl. Heat the cream and the salt in a pot just until simmering. Take it off the heat, let it sit for about 30 seconds and then add the cream to the chocolate. Let this sit for about 1 minute and then start to whisk, until everything is combined. Add the sour cream and whisk it in. 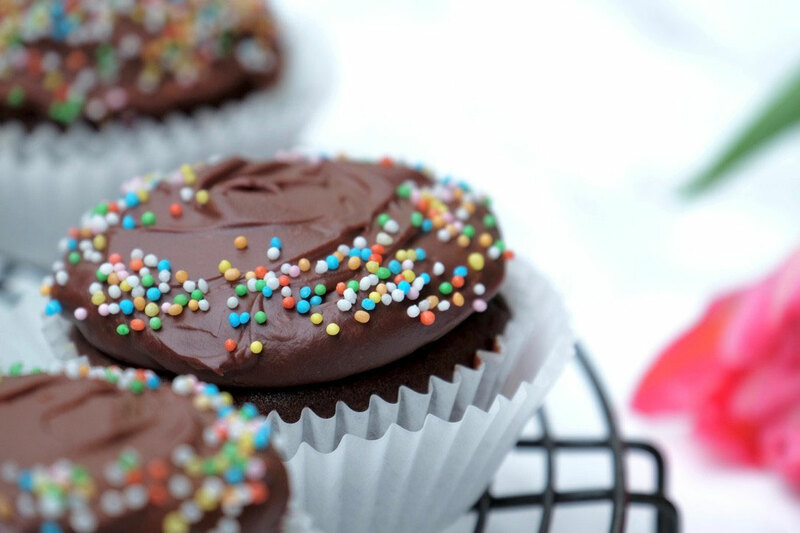 The frosting has to come down to room temperature before you can use it. I recommend letting it sit for about 2-3 hours or even overnight. 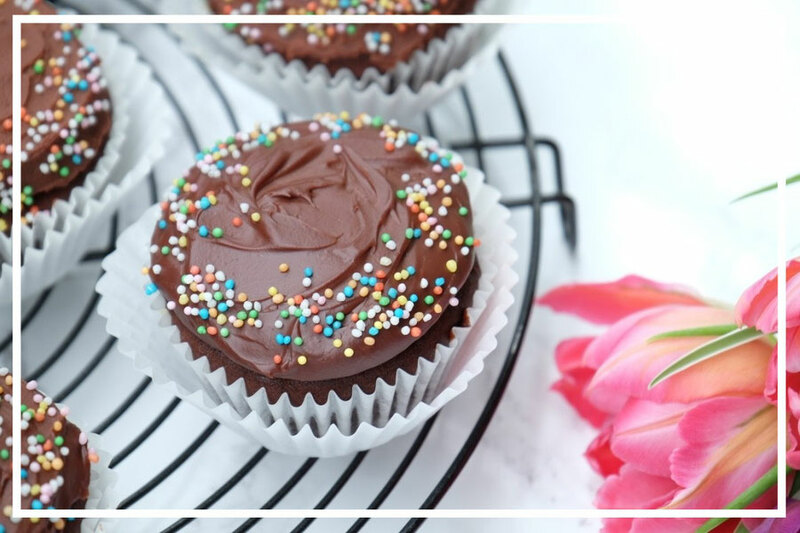 When the frosting has reached the desired consistency you can spread it on the cupcakes using a butter knife or an off-set spatula and decorate it to your liking. 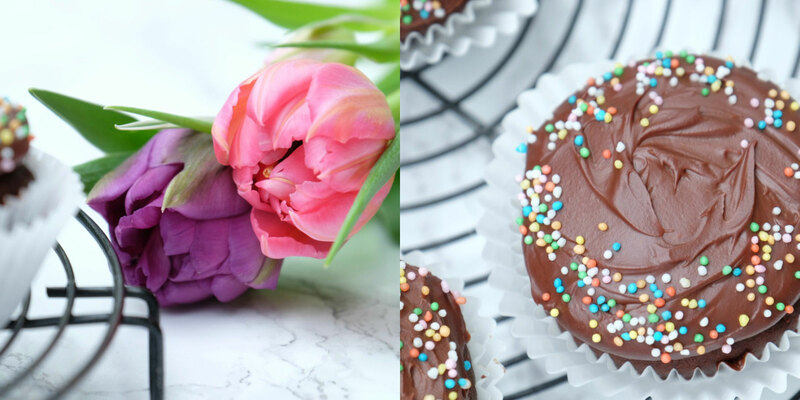 I have got so many topics to write chocolate cup cakes with ganache frosting reviews. Everything I am following to update more topics and reviews and thank you.